Who is happy about being overweight or obese? The answer, at least in most modern households, is: no one. Being overweight is neither desirable nor healthy. So, a lot of people figure, ‘since I want to lose weight fast, the faster I can do it, the better.’ This is the thought process that gets people to turn to drastic weight loss measures. Sometimes there are external motivations too, such as getting in shape for the beach holiday or wedding coming up in two weeks. Unfortunately, this is not the healthy way to lose weight and get slim. I have always been concerned about this issue which is a major cause of many illnesses, some even fatal. To maintain your body in a healthy state, you need to work on a well-planned course with short term and long term milestones. This plan needs to be followed strictly and monitored honestly. Of course, you could add a few goodies to reward yourself on the way but that should in no way affect your overall plan and milestones. 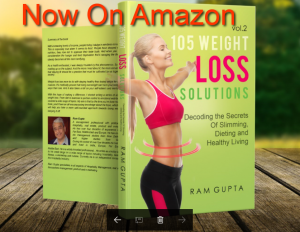 With is objective in mind, I have written a number of short articles covering all issues that one might encounter during the process of healthy living. These are published in two volumes. 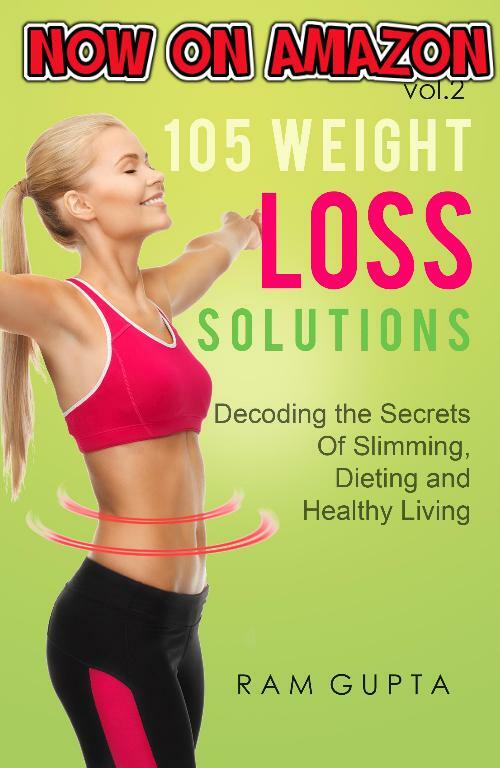 Here in my book, 105 Weight loss Solutions Vol II, I present the balance topics. I am sure you will find a solution to any issue you might be facing in your endeavor to shed a few pounds and regain your healthier self. Weight loss is a process. It’s a journey. And like any journey you may have undertaken, you know that it’s impossible cover the entire distance in one go. You start right at the beginning, and then move from one milestone to the other. Some are easier and the others a little more difficult. But you just stick it out no matter how hard it gets, because the rewards awaiting you at the end of the road are worth it. I would like to invite you on this journey with me. Let’s travel together and come out on the other side with a healthier body, happier mind, higher self-esteem, and at least a couple of waist sizes smaller! Previous Previous post: Are You An Indispensable Employee In The Hospitality Industry?